Microsoft's long, gentle embrace of Linux continues with the first release candidate of SQL Server 2017. Microsoft said the early release would land in the middle of this year. Arguably, since this is only the RC1-level release, Microsoft's SQL-Server-on-Linux is running late. SQL Server 2017 support for Linux includes the same high availability solutions on Linux as Windows Server, including Always On availability groups integrated with Linux native clustering solutions like Pacemaker. There's also Active Directory authentication, so domain-joined Windows or Linux clients can use their domain credentials to sign into SQL Server. As Microsoft discussed last December when the first public preview landed, getting SQL Server onto Linux needed an abstraction layer, which the company has dubbed “Drawbridge”. Drawbridge provides a host extension running as a Linux application. 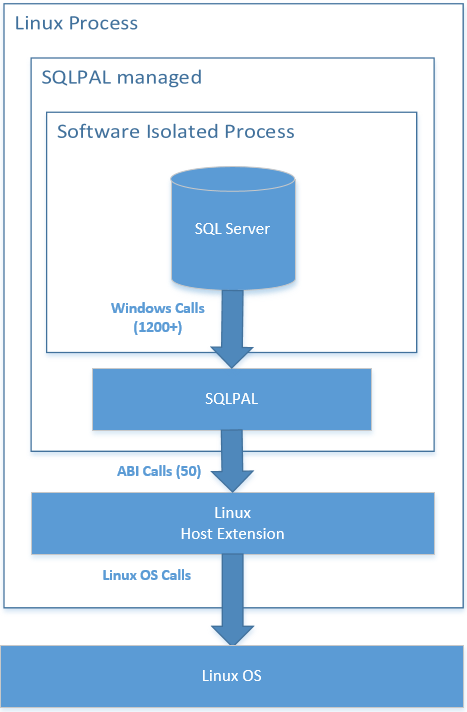 This initialises SQLPAL, which offers the Windows calls needed to launch SQL Server. It's not only about Linux: other goodies in the release candidate include analytics in either R or Python; graph data processing for discovering complex many-to-many relationships; and Adaptive Query Processing to auto-tune the database.